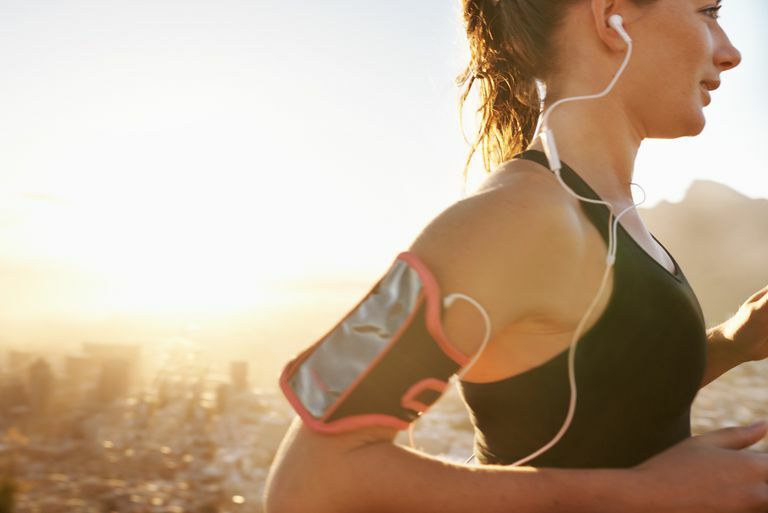 Can You Listen to Music While Running a Race? Do you prefer to run with headphones? If you train with headphones, you may prefer to race with them, as well. But there have been rules in place for headphone use in certain races and there are other factors to consider if you choose to listen to music while running. Despite the official change, some race directors still discourage use of headphones and personal music devices during races for safety reasons. When you register for a race, you should check the rules and instructions if you plan to wear headphones. If there is no rule preventing you from listening to music while running, you can weigh the benefits of running with headphones and running unplugged. While the official USATF ban on headphones has been lifted for most runners, some race directors still advise against using them or ban them outright for safety reasons. Why Are Headphones Discouraged or Banned? Many running competitions rely on audio cues for relaying important information. In fact, people with hearing impairments are often able to seek out special accommodations in advance so that they don't miss important information. All runners are expected to listen and respond to audio cues so that they know when to start the race and when to move out of the way or stop. This is one of the rules of racing etiquette. If you're listening to music during a race, you may not be able to hear these important cues from race officials and other runners on the course. For example, there may be a false start. When motion is detected by a runner before the start of a race, a sound is emitted letting everyone know the race needs to be restarted. If you don't hear the cue, you may be tempted to follow the runner who has initiated a false start, further delaying the start of the race. This may also cause race officials to evaluate whether or not you contributed to the false start. If race officials decide you did, this could result in your disqualification. In some cases, the consequences for not being able to hear may be more severe. If the roads during the race are open to cars and other traffic, listening to headphones in both ears while running may cause you to miss signals from oncoming traffic. This may result in injury for yourself or people around you. Listening to race instructions and being able to hear traffic sounds is crucial for a safe running event. Wearing headphones may compromise your ability to hear these cues. These issues are major concerns for organizers of large races or marathons, who already have a lot of logistics to keep in mind. They may underly their preference for an outright ban on headphones. For example, one study examined the differences in performance when music was self-selected or chosen by someone else and synchronized with the athlete's movement. It follows that many runners may be used to receiving a boost at the start of the race from their music and using music to set their pace while running. Study authors determined that self-selected music provided greater exercise benefits. But there are other ways to set your pace and receive a motivation boost while running that don't involve listening to music. However, there are some risks involved with relying on music, even when you have the option. The device you use to listen to music could stop working during your race or require a lot of your attention to maintain. These are distractions that can cause you to lose focus and throw you off your game if you don't have other strategies from training to fall back on. There are also documented health benefits to mindfulness during exercise, such as a stronger connection to your body. You are also more likely to be aware of body cues and signals when you run without music. Ask yourself whether you are more likely to mindfully attend to your body and your environment if you are listening to music or not. It's not all about winning. As more and more races are built around having on-course music, costumes, teams and fun, you may not be fully present for the experience if you are plugged into your own music. Of course, everyone has different musical tastes and the type of music you prefer to listen to may be different than the music preferred by another runner. But there has been some research into the type of music that works best. One study, for example, examined the effects of different music tempos on exercise performance. Researchers found that the tempo and musical style had minimal effect. However, if the exerciser liked the music, then it was more likely to provide a benefit. Multiple scientific studies have found that the music that is likely to provide the greatest benefit during exercise is music that you prefer and select yourself. Other experts advise that you listen to music that matches your run pace. The most efficient runners have a high stride turnover of about 180 steps per minute. To help achieve that pace, some runners like to run with music that has 180 beats per minute (BPM) so their stride is in sync with the music. If you don't have the time or energy to put together a music playlist, you can listen to a music streaming service (such as Pandora) while running. Or choose one of these playlists instead. If in doubt, email the race director ahead of time and ask whether headphones are allowed. If you know that headphones and earbuds are not allowed, you will be able to do your training runs without music and become used to it by race day. If you absolutely need your music to stay motivated or beat boredom during a race, try listening on a low volume or with one earbud out, so you can still hear. Ramj, R., Aasa, U., Paulin, J., Madison. G. Musical information increases physical performance for synchronous but not asynchronous running. Psychology of Music. 2016; 44(5): 984-995. doi: 10.1177/0305735615603239. Yamamoto, T., Ohkuwa, T., Itoh, H. Kitoh, M. Terasawa, J., Tsuda, T. Effects of Pre-exercise Listening to Slow and Fast Rhythm Music on Supramaximal Cycle Performance and Selected Metabolic Variables. The Journal of Metabolic Diseases. 2003; 111(3): 211-214. doi: 10.1076/apab.111.3.211.23464.